TGIF already! Dancing Azonto ;-) cos the period of relaxation after a whole working week is finally here. I am finally looking forward to the weekend and I hope you too are looking forward to a great weekend as well??? Mine is definitely going to be incredible; filled with loads of relaxations, lazy--ii--nn--gg around and maybe running one or two errands. Starting off by grilling some aubergines, this starter dish came out really well as expected. Satisfying, healthy and nutritious, this substantial freshly grilled aubergine with lemon dressing makes a perfect tasty starter! The collection of spices used during the preparation also added an excellent depth of flavour and aroma that you can't afford to miss. Another important chore I hope to accomplish this weekend is to bake up some snacks in preparation for next working week. Oops, don't just get me wrong but I do like to plan well ahead of time to ensure that things are rightly placed and positioned properly. But honestly, it is sometimes good to do some unusual things once in a while, in as much as your actions are not detrimental to anyone! 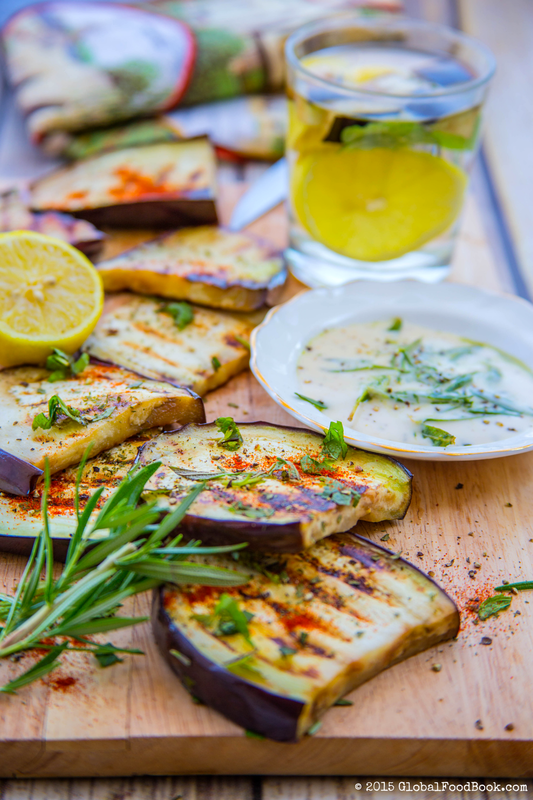 Long story short, this grilled aubergine with lemon dressing perfectly fits the bill for any summer or healthy snacks. Yes, you can never go wrong with it because it is packed with colourful spices and aromatic flavour. 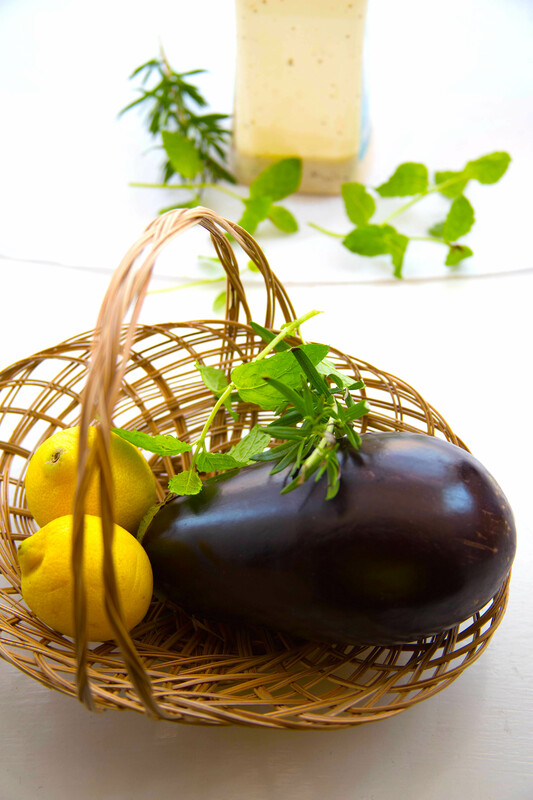 Dressing the aubergines with some lemon dressing prepared from some fresh lemon was just a perfect combination. Moreover, pairing up the starter with a glass of lemon drink is a brilliant way to lighten up the day for a wonderful afternoon. Place the aubergine on the griddle, sprinkle with lemon juice, olive oil, paprika, salt to taste, thyme, parsley and basil leaves. 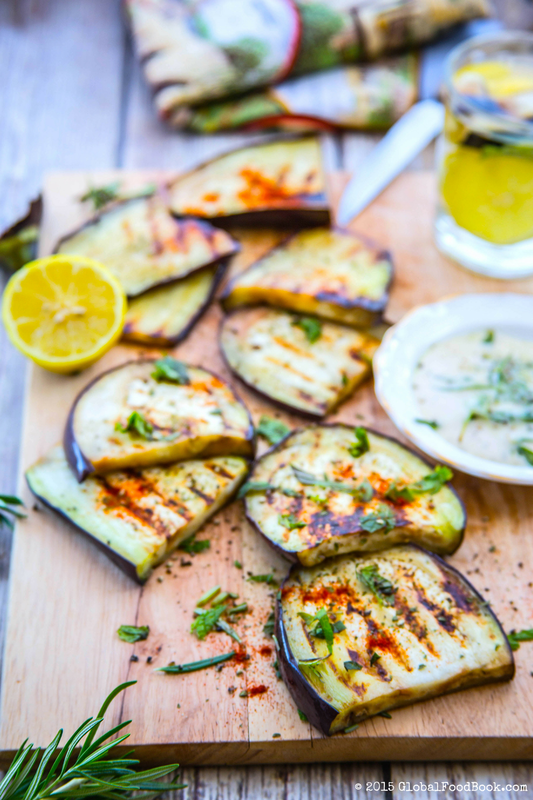 Then allow to grill until the aubergine is cooked. This should take approximately 5-7 mins. 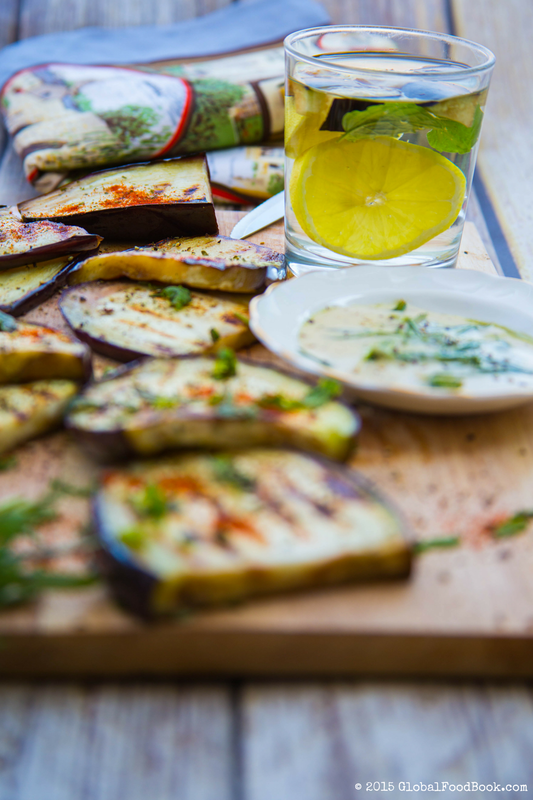 Bring out the aubergines from the griddle and serve immediately with lemon juice dressing and lemon drink.